DuaneSimolke.Com: Sons of Taldra: What is Gay SciFi? Sons of Taldra: What is Gay SciFi? Sons of Taldra is a gay scifi novel in which a heroic Native woman and her gay sons fight shapeshifting aliens. The terms gay scifi, gay science fiction, queer scifi, etc., refer to science fiction with gay themes or gay characters in major roles. Several related and more inclusive terms exist as well, bringing in other genres and other orientations—lesbian fantasy, queer horror, queer fantasy, LGBT speculative fiction, etc. My novel Degranon: A Science Fiction Adventure is another example of gay scifi, though Sons focuses a lot more on gay relationships. Both novels also appear as one specially priced eBook. Sons of Taldra has three book trailers so far. I’ve included those in the YouTube video playlist Gay SciFi, which also contains videos about books, movies, TV shows, and more from other creatives. 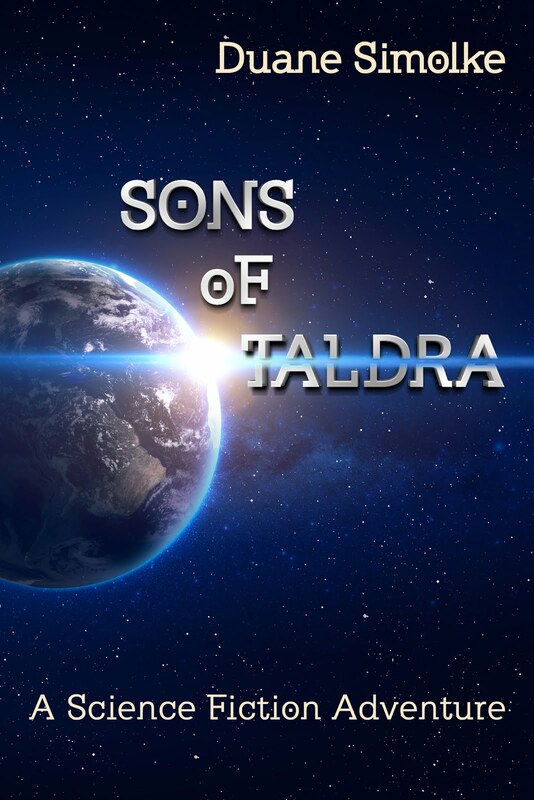 Sons of Taldra: Teaser Trailer. Sons of Taldra: 2nd Trailer. Sons of Taldra: 3rd Trailer. I also have a special list of my twitter followers: LGBT SciFi/Fantasy/Horror. It covers a wide variety of related topics from the perspectives of numerous fans and/or creators. Keep in mind, though, that some members there post tweets that are not safe for work (NSFW). For details about more related authors, books, and resources, visit QueerSciFi.Com and Gay Geek and Fabulous (Official GayGeeks).